The first Indoor Market of the fall is behind us and now we’re gearing up for the second one on November 25th. We’d like to thank our vendor, David Heard, for being such a wonderful DJ on November 11th. He gave an amazing, heartfelt speech honouring the lives of the brave and heroic Canadian soldiers who dedicated themselves to protecting the values and freedoms we hold so dear. He also played the Canadian anthem just after 11am as a tribute to our veterans. During the rest of our time at the Armoury, David played a thoroughly enjoyable selection of memorable tunes which brought out the dancing spirit in a number of people. Thank you David for contributing to making our first Indoor Market a day to remember. One of the new vendors at the Indoor Market is a bakery, Ginger’s Cupcakes and Desserts, which is relatively new to Aurora. While the bakery is new to the Market, the person representing it at the Market is no longer new to us. She is the delightful Sarah Salomons of Cherrylane Farm who sells her delicious Dutch Pofferjies and Cherrylane’s sour cherry concentrate, dried cherries and chocolate covered cherries at the Outdoor Market. The two ladies behind the bakery are Anna, who started the bakery and Amanda, who joined Anna about 2 ½ years ago. Here is a brief description of each of them. Anna started Ginger’s Cupcakes and Desserts in Richmond Hill a little over five years ago after recognizing that there was a gap in the nut-free bakery market. She was born and grew up in Montana in the United States. She spent a lot of time baking with her Mother and Grandmother and attributes her love of baking to those early years. She attended Culinary School in the U.S. Family is very important to Anna who has been married for over ten years and has two children. In her spare time she loves to rock climb and is part of the Richmond Hill Ki-Aikido Club. Anna’s nickname of ‘Ginger’, because of her red hair, is responsible for the bakery’s name. Amanda began working at the bakery about 2 ½ years ago. Then, about 1 year later, the shop in Richmond Hill became so busy that Anna invited Amanda to join her in the business so they could expand. Amanda grew up in Peterborough with her Mom, Dad, and two sisters. She, too, grew up baking with her Mom, Grandma and Great Grandma. Amanda attended Culinary and Pastry School where she refined her baking techniques. She loves to spend time with her family. She also likes to travel to new places and always searches out the local bakeries and coffee shops to see what goodies they offer. The Aurora branch of Ginger’s Cupcakes and Desserts offers a variety of nut-free desserts for sale as well as accepting custom cake orders, their specialty. The bakery also sells coffee and savoury items with a sit down area where they can be enjoyed. Do stop by their table at the Indoor Market to sample some of their wonderful offerings. Sarah will have some of Cherrylane’s cherry products available as well. 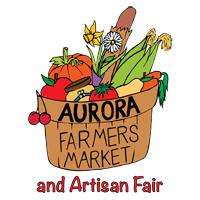 At our next Indoor Market on November 25th, our music will be provided by Aurora’s own “ Willin’ and Abel” band coming to us in partnership with The Aurora Blues Festival people. The Aurora Farmers’ Market and Artisan Fair want to thank Jamie McDonald and his team for their generosity in helping to arrange our musical entertainment on several occasions this year at both Indoor and Outdoor Markets.